Kyocera Corporation has developed one of the smallest known optical blood-flow sensors, which measures the volume of blood flow in subcutaneous tissue. 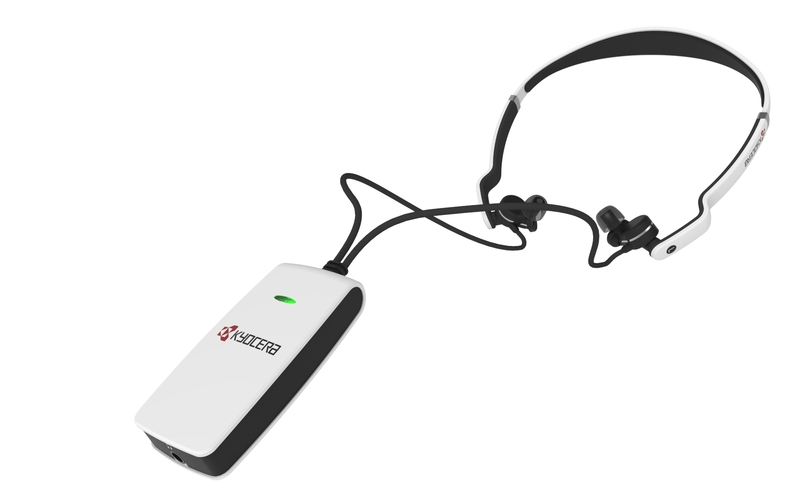 With the sensor, Kyocera is researching a variety of mobile health (mHealth) applications such as monitoring stress levels or preventing dehydration, heatstroke and altitude sickness by studying trends or changes in blood-flow volume as alerts for these conditions and developing algorithms for detection. Leveraging Kyocera’s expertise in miniaturisation, the sensor — only 1mm high, 1.6mm long and 3.2mm wide — is designed for use in small devices such as mobile phones and wearable devices. The company will offer sensor module samples starting April 2017, and aims to commercialise the technology as a device by March 2018. The wearable device market has expanded substantially in recent years, focused primarily on health and fitness. New mHealth applications are being developed for a wide range of healthcare applications including chronic diseases, eldercare and wellness. Global shipments of healthcare wearables are expected to rise from 2.5 million units in 2016 to 97.6 million units in 2021*. Kyocera, which provides a wide range of components for smartphones and wearables, has been developing slimmer, smaller products to support higher functionality in more compact devices. 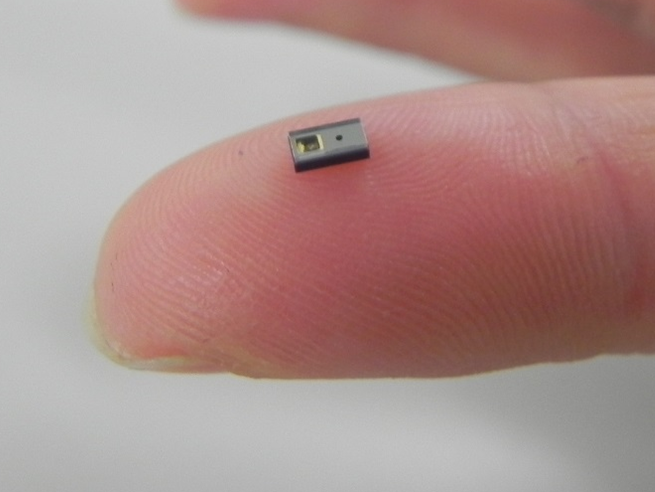 The company developed this sensor as an integrated module, incorporating the laser diode and photodiode into a single ceramic package, based on its established expertise in miniaturisation technologies. Devices equipped with this new sensor will be able to measure blood-flow volume in subcutaneous tissue by placing the device in contact with an ear, finger or forehead**. When light is reflected on blood within a blood vessel, the frequency of light varies — called a frequency or Doppler shift — according to the blood-flow velocity. The new sensor utilises the relative shift in frequency (which increases as blood flow accelerates) and the strength of the reflected light (which grows stronger when reflected off a greater volume of red blood cells) to measure blood-flow volume. ** The sensor targets capillaries for measurement and cannot be utilised on all parts of the body; measurement site may depend on monitoring applications.